In 2017 renowned American publisher Merriam-Webster “FINALLLLLLY” included the term ‘Sheeple’ as an official word in their dictionary. The word was, however, coined ages ago in 1945 by author W.R. Anderson in his column ‘Round About Radio’ where he emphatically stated “The simple truth is that you can get away with anything, in government. That covers almost all the evils of the time. Once in, nobody apparently can turn you out. The people, as ever (I spell it Sheeple), will stand anything”. Today the term is now an informal derogatory word, which refers to people who are docile, compliant or easily influenced similarly to the nature of sheep. The term can also refer to supine individuals who mindlessly or voluntarily submit to unscrupulous government activity without any critical reasoning. We live in a society of unaware and compliant citizenry that is masterminded by elitists who continually strive to keep us unconscious of their existence, all while conducting various social experiments on us for how to further exploit us. The strong delusion used by the elite to keep us sheepish isn't just abstract though but an actual literal reality that exists through mediated frequencies which keep us dazed and unaware. This delusion is a constructed illusion made up of energy, which is coded in electromagnetic waves that we decode physically and perceive as reality. The source of all this energy powering our consciousness is believed by many to emanate from the Sun. However, as of late, recent findings from ancient cultic practices have emerged revealing that another sun was providing all of this energy. The sun we know today is very different from the sun, we once knew: the "Saturn Sun" and its orbiting planets, the meaning of which we will explore herein. The real question then is what is the difference between the two suns and how is this affecting us today? 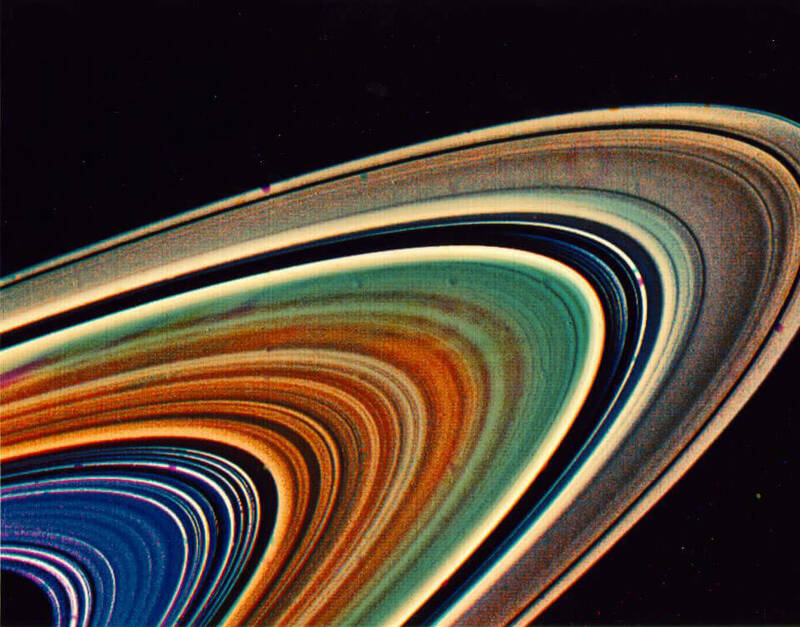 In the visually rendered graphic representations that most of us have seen of the galaxy we usually just think of Saturn as the planet with rings around it. However, in the metaphysical realm, it is much more: It is an information field with its own consciousness and awareness. Renowned Russian-Jewish scholar Immanuel Velikovsky, who is best remembered for his fusion of astronomy with mythology and scripture, was one of the first thinkers to postulate that in the earliest recorded epoch Saturn used to be the main celestial body in the sky that was closest to the earth. This theory was confirmed by various other ancient civilizations who confirmed that such a sun once ruled the sky. For the Egyptians, this former sun was known as Atum Ra (the ancient sun god). Similar Saturnian sun gods were also present in ancient Mesopotamian, Roman, and Greek civilizations. Then, a cataclysmic catastrophe occurred that caused an explosion which darkened Saturn and turned it into a negative force, while reconfiguring the planets in our current solar system and bringing the current sun closer to earth. It may come as a surprise to many, but Saturn symbolism is widely interspersed throughout antiquity across multiple cultures and religions. In ancient times and contemporary occultist circles, it is known as ‘The Old Sun’, ‘The Dark Sun’ or ‘The Dark Lord’. It may be that all or most of the ancient sun gods are gods of the Saturn Sun. Long symbolized as an eye, Saturn shows up everywhere from Egyptian gods to Freemasonry’s all-knowing eye and even subliminally in fictional media such The Lord of the Rings where it can be seen depicted as the Eye of Sauron. According to David Talbott, author of ‘The Saturn Myth’ which was published in 1980, at some point throughout the planet's existence, there was a huge ejection of debris caused by an explosive occurrence that formed a luminous crescent reflecting light at different points of the day. Since then, the crescent symbol has also been adopted as a representation of Saturn. According to Talbott ancient myths and traditions described Saturn as the main celestial body in the sky. The imagery of the crescent and the disc surrounding the sun are seen all throughout antiquity. Some of the most common symbols deriving from the crescent are the horned gods and goddesses. This also is depicted through the bull gods of Mesopotamia and the winged goddesses. Later on in history the crescent symbol started becoming more conspicuous in the occult and incorporated into magic rituals. The Brotherhood of Saturn was a magic ordered cult founded by Eugen Grosche in Germany in 1926 that was the first to incorporate Saturnian symbolism into its practices thus creating the link between Saturn and Satan. In modern times the same crescent shape has found its way into the Great Seal of the United States, in the symbol of The House of Windsor, and in the symbol for The United Nations. Multiple corporations such as Bentley and Microsoft’s internet explorer utilize the crescent in their logos as well. In addition to the eye and the crescent, another common symbol that has come to embody strong satanic connotations is the cube. Satellite imagery of the north pole of Saturn has shown that there is always a constant storm there whose eye forms a hexagon shape that is visibly cubic. Due to the fallen nature of Saturn as a dead Sun, the frequencies being emitted from the center of its north pole are believed to be a negative force which influences the magnetic composition in human beings by drawing them closer to other cubic elements and structures. The symbol of the cube is present in faiths such as Islam where it is represented in the Kabaa, which is the central focus of worship in the faith. In Judaism, the tefillin is a small black leather cube which worshippers wear on their heads during weekday morning prayers. But what does this have to do with Saturn transmitting a frequency of Satan? According to information monitored by the Cassini spacecraft, Saturn is a source of 'intense radio transmissions.' These transmissions have rising and falling tones, which are interestingly like Earth’s radio transmissions. The rings of Saturn, according to David Icke, are “a massive broadcast system, broadcasting a fake reality.” Not only can we hear this frequency, but we are decoding it, and thus, living in it. In plain speak, we have been hacked into this fake reality. Icke believes that there are invisible frequency bands being emitted from Saturn’s rings that can induce a virtual reality experience – he refers to this as the Saturn Moon matrix. We are assimilating this fake reality right down to our DNA. DNA holds all the information we will ever need to build and maintain the human body. Researchers at Boston University and Harvard Medical School studied the 98 percent of our DNA that remains unable to be decoded and is thus called 'trash' DNA. They found that in that percentage, "Non-decoded DNA sequences do contain a structured language fundamentally unlike the coding in genes…We, therefore, need to consider the possibility that the junk DNA may carry some kind of message” says Head Researcher Eugene Stanley. A Russian team lead by Dr. Pjotr Garijajev which included biophysicists, molecular biologists, embryologists, and language experts found that the non-coded DNA adhered to basic rules of syntax (word order). Dr. Garijajev also found that airwaves could facilitate total genetic restructuring. Icke believes we take the Saturnian or Satan frequency into this 98 percent of our DNA and it is coded with messages. These messages are designed to control and limit us into being orderly drones. He believes these messages tell us what to do, how to live, and not to challenge the power hierarchy currently in place. Icke’s claims are backed by findings provided by former NASA engineer turned whistleblower Dr. Norman Bergrun, who claimed that there are aliens in our solar system who are creating rings around Saturn. In his 1986 book titled “Ringmakers of Saturn” Bergrun stated that there are massive alien ships around Saturn, including ones so large they actually create some of the rings surrounding the planet. Icke believes that these aliens which Dr. Begrun testified about are the ones responsible for creating this fake reality. Based on findings drawn from Christoper Knight and Alan Butler’s 2005 book ‘Who built the moon’, Icke further believes that the moon is an artificial construct which was made to amplify the frequency band of the Saturn Sun matrix on earth. This belief is consolidated by the earlier writings of Mikhail Vasin and Alexander Scherbakov of the Soviet Academy of Sciences in their 1970 article "Is the moon the creation of an alien intelligence" which was published in Sputnik. 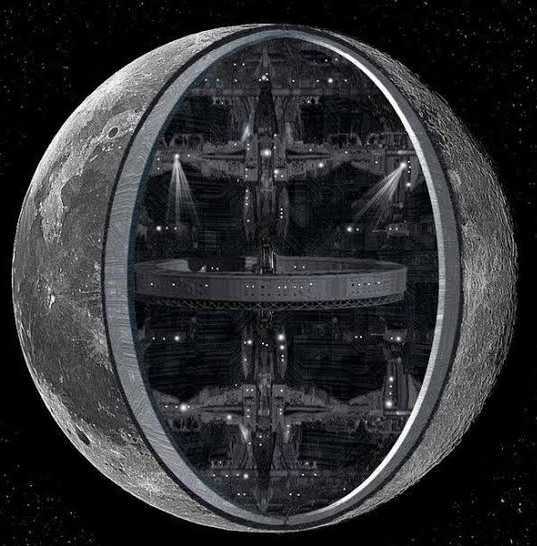 The hollow moon theory is often likened to the death star in George Lucas’ Star Wars franchise and believed to function as a mega Satellite which codes Saturnian symbolism into our subconscious. Zulu Shaman Credo Mutwa tells a similar story about the moon being hollowed out by an extraterrestrial race seeking to control humanity. may not be what it seems to be. Although it may seem unbelievable and something along the lines of Bigfoot or the Lochness monster, could it be possible that the universe is one big computer simulation? In 2012, a team of researchers at the University of Bonn in Germany claimed to have evidence that this is not only possible, but true. In their paper, "Constraints on the Universe as a Numerical Simulation" they discuss how the simulations in this universe put limits on physical laws. By being a simulation, the computer places limits on "the energy that particles can have within the program." These limits would be felt by those within the simulation. The basic premise is that we may never be able to see the walls that lock us in our simulation, but with physics, we may be able to experience them by touch. It’s up to you to decide if that is the programming you want to follow.